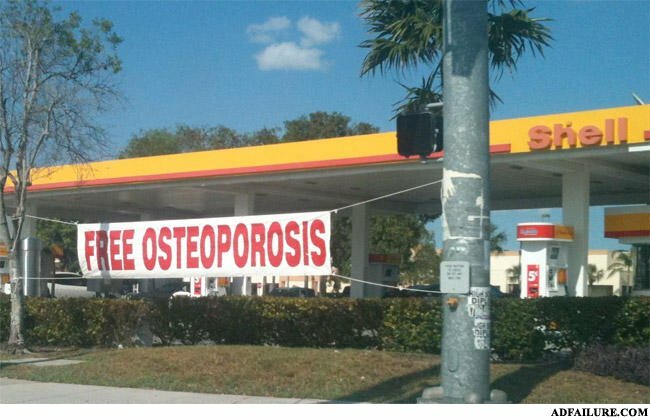 Did osteoporosis go to jail? what? I don't need that. I vahe dyslexia. You had me at FREE! You had me at FREE! This is a ripoff! The guys down the street are giving out free leukemia! @top comment ORLY? The guys that work at macy's are giving out free cancer and gingivitis! What did the resently released criminal get for his birthday?